Who controls the Internet? For all the talk about how the Internet levels the playing field and gives anyone the chance to become an influence in society and business, many of those who are most influential have been around for a long time, and some from the beginning. Whether they are prolific bloggers or heads of major corporations, a few people stand out as highly influential, and they help "steer" the Internet to a large degree. With his placement by Time Magazine as 2010's Person of the Year, it should be no surprise to find Mark Zuckerberg at the top of the list. Any site that boasts over 500 million users, as Facebook does, is going to be highly influential, and as Founder and CEO of Facebook, much of that influence falls to Zuckerberg. Every time Facebook makes a move, the web is abuzz and bloggers are sure to talk about it. That's influence. When you co-found and run (Page will resume his role as CEO of Google on April 4) a company whose name has become a commonly used verb, you definitely have influence. Google is, of course, the most popular search engine, but it's so much more. From ad revenue to email users to cell phone operating system rollouts, Google has broken all the records, and it shows no signs of slowing down. 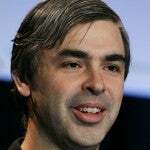 To a large extent, as Google goes, so goes the Internet, and that makes Larry Page highly influential. 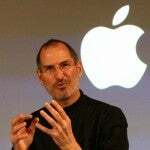 It's hard to imagine a world without Apple products in it, and that's why Apple CEO, Steve Jobs, is highly influential. Apple has changed the way we interact online. From the iPhone and iPad to iTunes, millions use Apple products online every day. When Jobs announces a new product launch, it's almost as though the Earth stands still in anticipation. Everyone hanging on your next word? Yeah, that's influential. 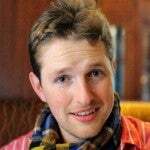 For changing the face of the Internet, the prize has to go to Matt Mullenweg, the developer and founder of WordPress. Millions of websites run on this open source blogging platform (including this one), which has become synonymous with blogging. Some of the most visited (and influential) sites online are WordPress sites, including HuffingtonPost.com, Mashable.com, and TechCrunch.com — so the guy who made it all possible must be influential! HuffingtonPost.com has become the go-to site for millions of people seeking news and commentary on everything from politics and world events to entertainment and green living. Even before AOL agreed to acquire Arianna Huffington's company for $315 million, the site reached 25 million unique visitors per month. Once the acquisition is complete, the combined reach of the company will be over 270 million people worldwide. As Arianna will remain President and Editor in chief, her influence will remain strong and will continue to grow. 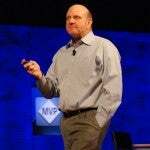 He might not be as hip or trendy as a lot of people on the list, but there is no denying that Steve Ballmer, CEO of Microsoft, is highly influential. Chances are the computer you're using right now is running some version of a Windows operating system, and even though alternatives like Mozilla Firefox and Google Chrome have gained a lot of traction, Microsoft's Internet Explorer still holds the largest market share for Internet browsers. Bing, Microsoft's search engine is also gaining ground, although it still has a long way to go to catch Google. You know how if Oprah recommends a book it becomes an instant best seller? Well, TechCrunch.com has a similar level of influence in the world of technology and electronics. As the site's founder and co-editor, Michael Arrington is considered by many to be one of the most influential people anywhere. In fact, magazines Forbes, Wired, and Time have all recognized him as such. With a stated life goal of, "To create and distribute a free encyclopedia of the highest possible quality to every single person on the planet in their own language," Jimmy Wales has guided Wikipedia to household name status throughout the world. Everyone from celebrities to politicians to business leaders has been known to check their name entry on Wikipedia for accuracy. And the chances of any given person online visiting the site to gather information at some point during their day is very high. 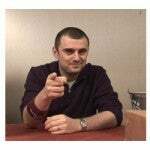 Gary Vaynerchuk is showing others that changing the way you think can change your chances of success. With his first NY Times Best Seller, Crush It! he showed people that passion can be the best reason to start a business, and in his latest book The Thank You Economy, he explains how the rise of the Internet and the empowerment of the common consumer has created a fundamental shift in how businesses are expected to behave. Gary is a prime example of how to channel one's energy into what you love — and succeed. As for influence, Gary's nearly 1 million Twitter followers hang on his every word when it comes to the topics of Social Media and personal branding. The man behind Apple's rejuvenation is influencing others in a big way. 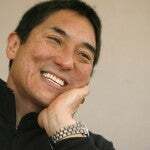 Currently, Guy Kawasaki is promoting the idea of enchantment and how that feeling can pull in readers, customers, and communities — how's that for influence? By revealing that people want a story they can see themselves in, Kawasaki connects to multiple markets and shows that sometimes it's about what you have to say, rather than what you have to sell. Are there any we missed? Any you don't agree with? Let your voice be heard in the comments.